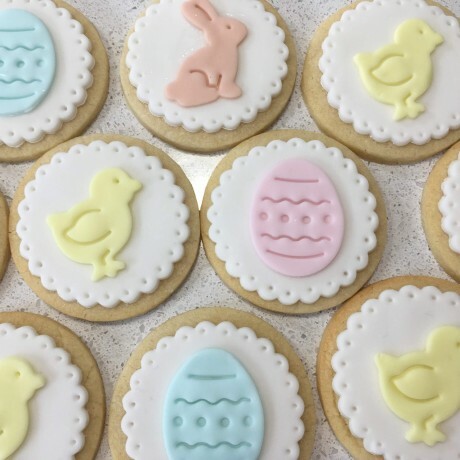 This Easter, send a box of our delicious Vanilla sugar biscuits, hand made and decotated with Easter sugarpaste decorations to treat someone special - a lovely gift and a change to the usual chocolate! 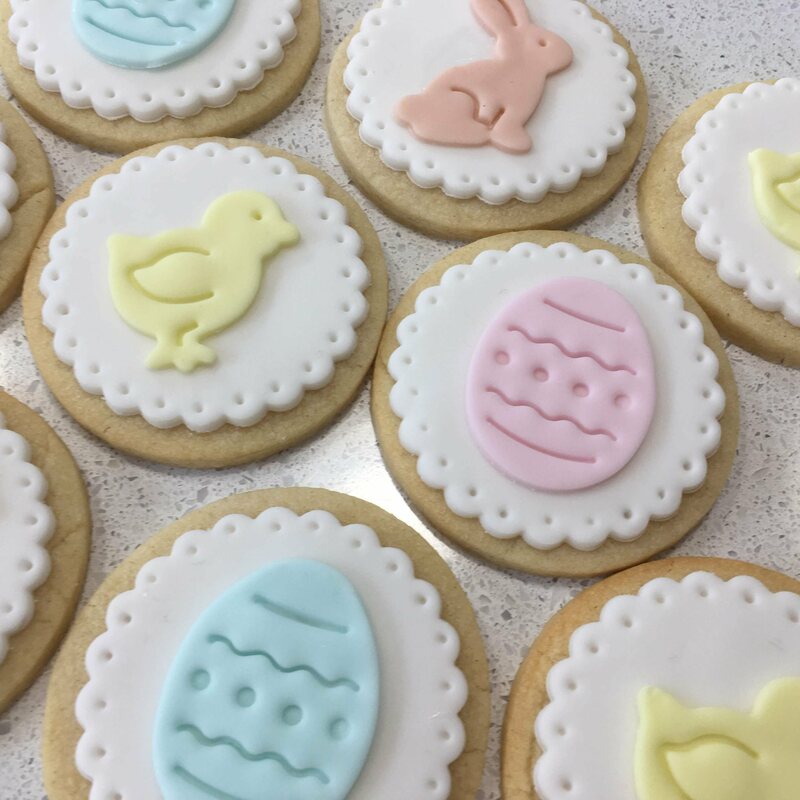 They won't last long; however their shelf life of 2 weeks means you can order in advance. Wheat flour, Sugar, Butter, Egg, Vanilla Extract, Glucose Syrup, Palm Oil, Water, Glycerine, Emulsifier, Xanthan Gum, Cellulose, Stabilisers: Potassium Sorbate. 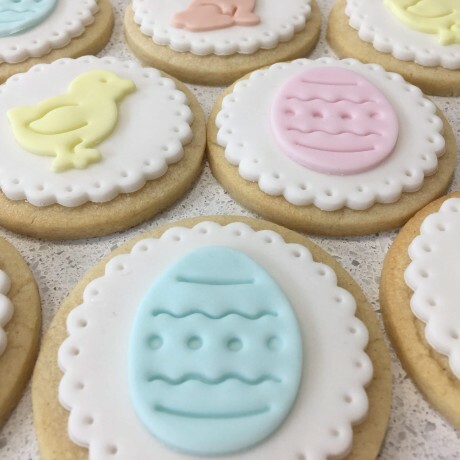 Allergens: Wheat Flour, Egg, Dairy. Made using equipment that sometimes has contact with nuts. Specialising in cupcakes sent by post, corporate and logo cupcakes and bespoke cupcakes.